There’s much more to the flagship OnePlus 5T than its unfussy yet classy looks. Not only is the phone striking to behold, it’s also a very sturdy device that has survived numerous falls since the time we received it for review. To top it off, OnePlus has infused the 5T with OxygenOS offering near-stock Android with a few improvements we’re about to highlight. It’s no doubt that the company has a winner with the 5T which is priced starting at $500, or Rs 33000. Without further ado, let’s dive in. The OnePlus 5T has many features to help optimize battery life to the max. 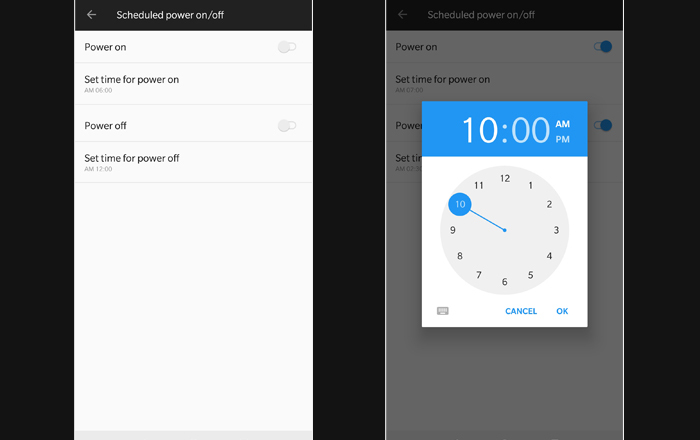 You’ll find one such gem called Scheduled power on/off hidden in the Advanced section under Settings. It allows you to get the device to turn off automatically at a fixed time every day – at bedtime, for example – and then switch itself on around the time you usually wake up. Another trick the 5T has under its sleeve is a Gaming Do Not Disturb mode. Users can find this under the Advanced tab after clicking on the Settings icon. It permits you to block all notifications except calls and the alarm clock. Additionally, you can force incoming calls to be routed directly to the speaker. Never ever be frustrated by interruptions while gaming again. But the feature is not limited to games only. You can also turn on DND for other apps like Kindle, Google Maps, YouTube and so on. Then every time you open one of the applications on the list, DND is automatically triggered. The OnePlus 5T is a dual SIM phone. But it’s not just about switching between SIM cards for calls and messages, right? You may also have to use applications like WhatsApp or Instagram on both numbers. 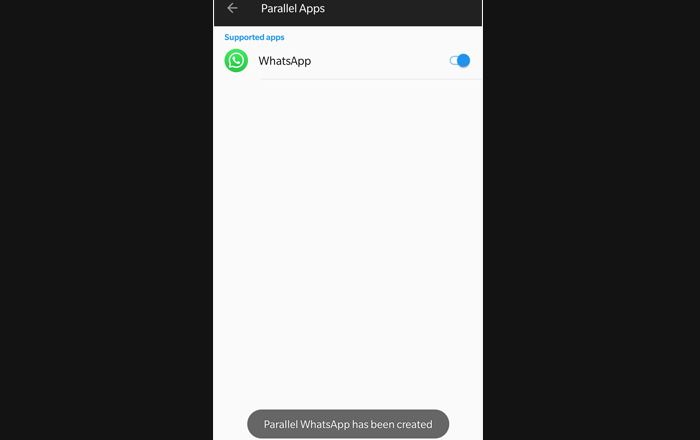 Under Apps in the Settings tab is a Parallel Apps option which allows you to enable two WhatsApp (and other compatible apps) accounts on the phone. OnePlus’ current flagship has the usual buffet of photography options to please most users. They include time-lapse, slow motion and portrait mode. In addition to these, it lets you click RAW images, save customized settings and fiddle around with exposure/contrast/ISO/white balance and more in Pro Mode. When shooting with the bokeh or depth effect, you may set images to be saved in normal mode simultaneously. 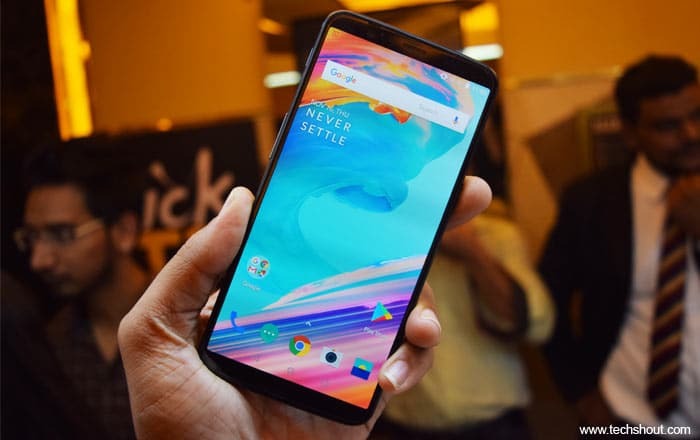 The rear camera beauty mode can be toggled on or off, a personalized ‘Shot on OnePlus’ watermark can be added to pictures, selfies can be inverted, guidance grids can be enabled and so on and so forth. Since the OnePlus 5T sticks to a 1080p touchscreen, this somewhat extends the battery life. The display offers a Dark theme for further power savings. The latter also helps reduce eye fatigue. Additionally, apps on the phone can be enlisted under a Reading mode which switches the screen to black and white when you open them. Among the many things we love most about the 5T are the customizable gestures. 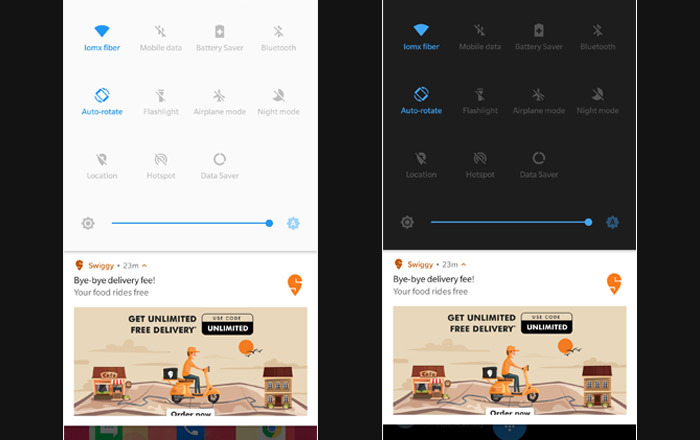 You can flip to mute the phone, take screenshots by swiping three fingers across the display, draw symbols for controlling the music you’re listening to and tap twice to wake up the locked screen for checking out notifications. But that’s not all. A swipe down on the fingerprint sensor shows you notifications, whilst an upward sliding gesture pushes them out of view. With the camera app open, you can long press on the sensor to take a picture. You can also draw letters on the locked display to quickly access a particular app. So there are plenty of videos on YouTube which prove that the 5T can take some amount of water. But that’s still no justification for tempting fate and dunking the 5T. From what one can gather so far, OnePlus appears to be toying with the idea of introducing water-resistance in its flagships. It’ll be great if it does so in the OnePlus 6.